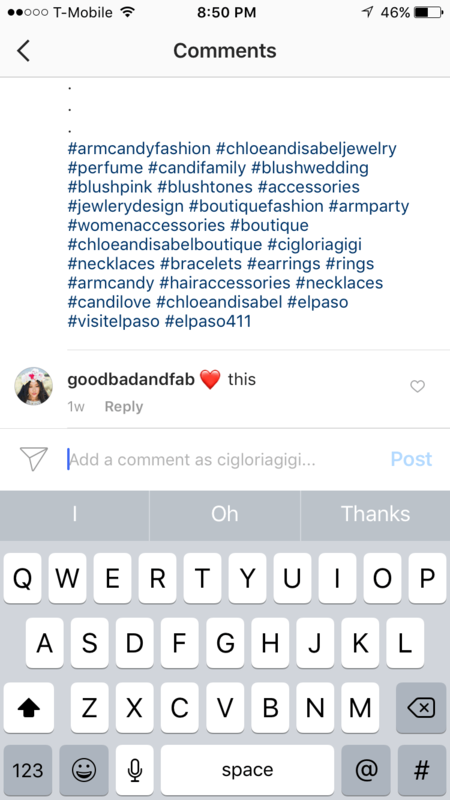 Having a small business as a merchandiser for Chloe + Isabel, sharing about my business to the world means that I have to get creative and share on social media. 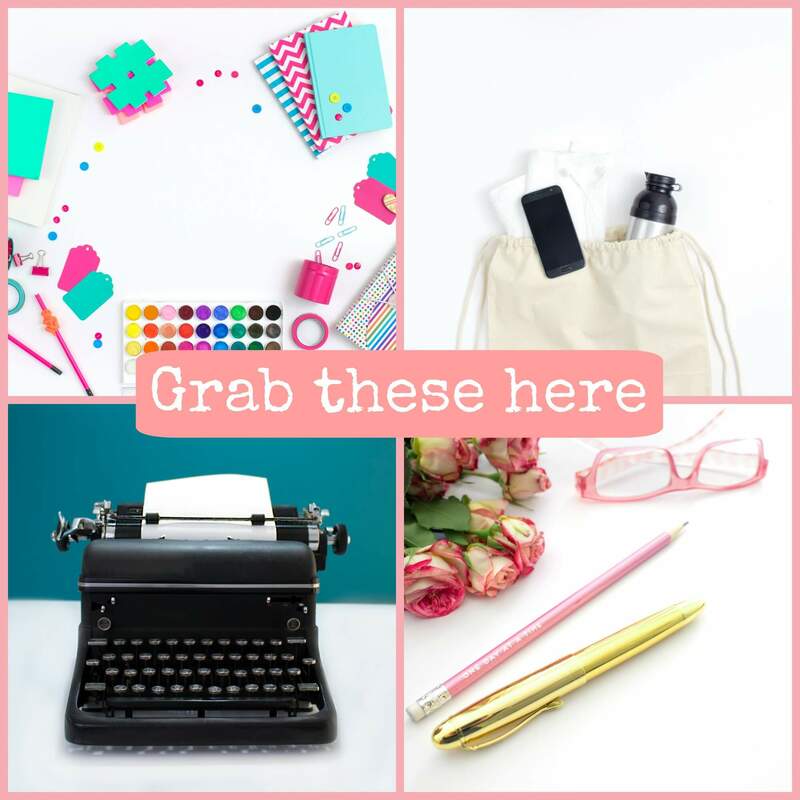 From Facebook, Twitter, Pinterest, Google+, Instagram and a few others, there’s lots of different ways to share content. I really enjoy using Facebook and Instagram the most when it comes to sharing photos and stories. That’s why I was excited with the latest features they have added to help grow my own business and yours as well. Here are some of the features and the most current feature added that will help boost your business. Keep in mind that some features are trickled down to you at different times and in certain locations. This feature is great to save posts you’d like to visit again later. As shown in a red circle in the image below, I have indicated the new bookmark icon that is underneath posts in your feed. If something catches your eye and you want to revisit it, just tap this icon to save this post in a private tab on your profile. You will then see all your saved posts in this tab and only you will see what you save. This is great for when you’re curating photos for a party and getting ideas from Instagram or if you have someone in particular you follow and wish to save some of their posts, you can now do this with this icon. Have you ever wanted to just hit like on a comment done on one of your posts and didn’t know how? It doesn’t show this feature when on a computer/Mac, at least I don’t see it. When I see it on my phone, it shows the comment and a little heart next to the comment like the first image below. Now, you can like a comment just by clicking on the heart. It’s almost like Facebook in that you can give a comment a HEART or a “like”. If you’ve ever received those spammy comments, like “click here for more followers” or if you receive a nasty comment, you can delete the comment by sliding that particular comment and hitting the red trash can like the second image below. Now that comment will not appear on your feed. Another way to avoid receiving spammy comments at all, is by going to your Profile then going into Options (button that looks like a circled star on Iphone or 3 dots going down on Android), scroll down to where it says Comments. Some that I added are: check out my page, follow me, get followers, like for like and get followers free, but you can add any comments you don’t want to appear on your feed. Instagram has also added the reply arrow as shown below so it will automatically type in the user’s name to let them know you replied. A stop sign with an exclamation point is also available to report any comments. So the follow button has been on for some time I’m sure, but now the “unfollow button” is white and it blends in with the rest of the profile. The “follow” button is blue and can easily be seen within a profile. With this, followers really can’t see the unfollow button as easily as the follow button and are less likely to unfollow an account. At least this is the idea but anyone can do whatever they please and unfollow others. 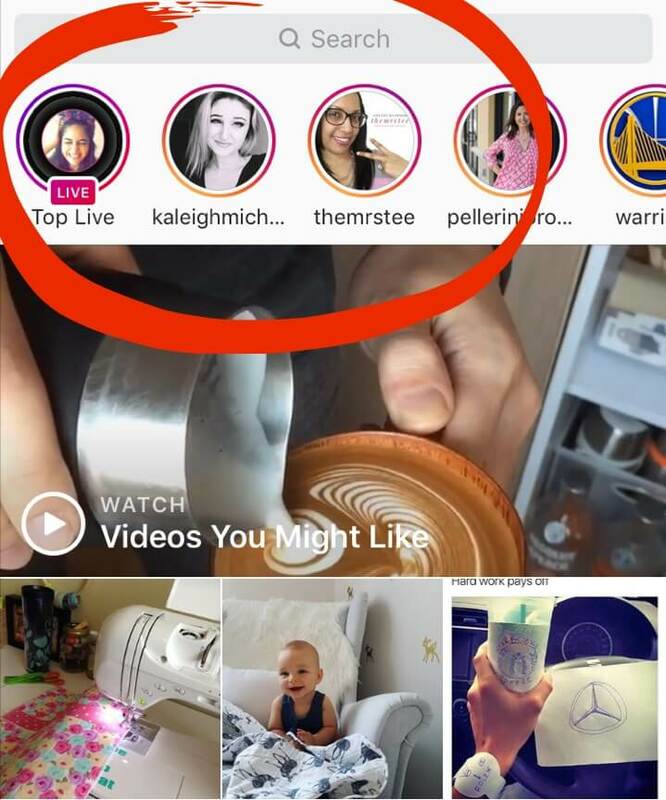 This feature is similar to Facebook Live or Snapchat where you can record yourself or something else live and it appears on your feed. This, of course, will appear on your Instagram. I have only used this feature sparingly but should give it a shot again. This is great to share with your audience and potential customers about you and your brand. Pictures are great but this is more of a personal touch to have your customers meet YOU. This is true especially if your target audience/customers are mainly on Instagram. 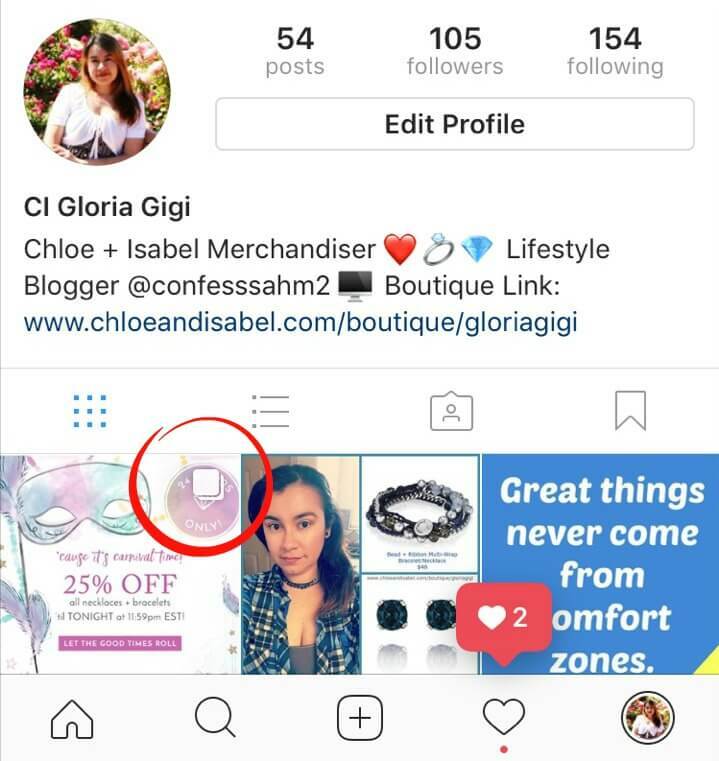 To add an Instagram story, just click on the “Your Story” icon (image on the right) of your profile image and start recording! You can also send private messages to those stories you’re watching. These stories, like Snapchat’s, disappear within 24 hours. 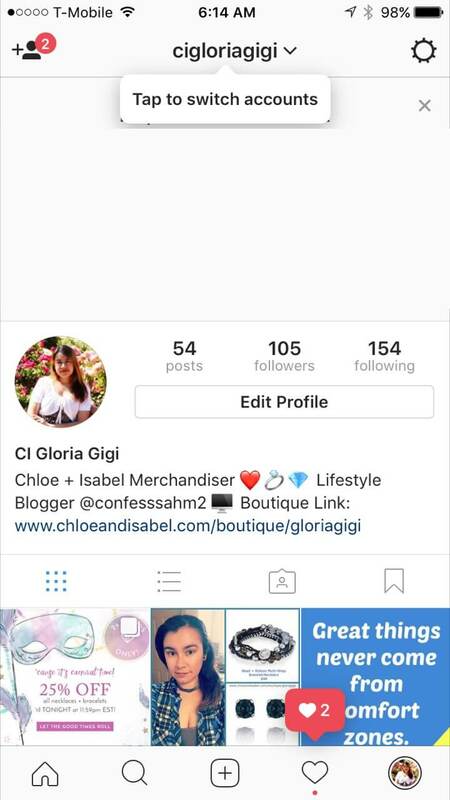 For live Instagram stories, just click on the camera icon on the top left as shown on the image on the right. Live stories disappear after someone views it. Viewers can then see Live stories appear on the top bar as the image on the left. Again, similar to Facebook, you can tag people on your posts. 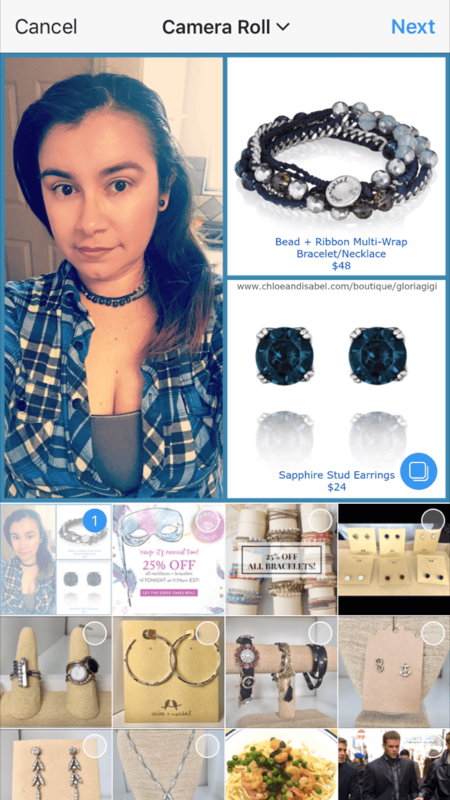 Since I have two accounts, as mentioned previously, I want to add an image on my blog account that represents products from my Chloe + Isabel account. 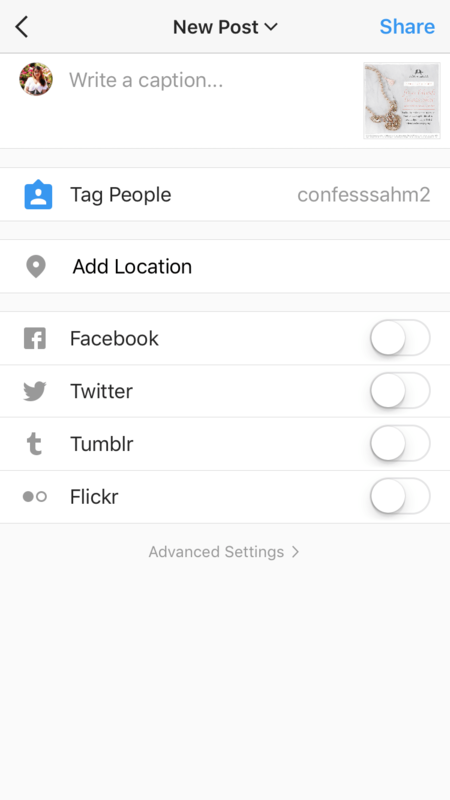 Once I’m adding a photo, I can tap on the section that says Tag People and type in the account I want to be tagged. Now when my image posts to my blog profile, people can click on the image and get sent straight to my business account without having to look through the comments for a mention of that second account. This can also be done on your stories. 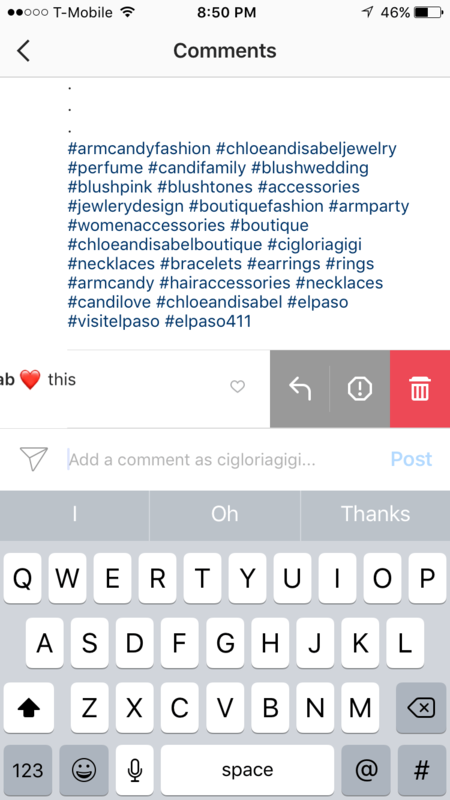 If you’re like me, I have two Instagram accounts, one for my blog and one for my Chloe + Isabel business. Previously you had to log out of one account and log back into your other account. Now you can tap on your username at the top and all your logged in accounts will appear. You can now just tap on the account you want to log in to without having to reenter your password. This feature is perfect if you have multiple accounts, especially if you’re a virtual assistant. This is the latest feature that came out in February 2017 and I’m sure there will be plenty more features show up as technology advances and demand for bigger and better features grows. With this feature, you’re allowed to upload up to 10 images and videos in a post. As you can see on the image below, once you select by clicking on the photos you want to add, you can rearrange them as well as to which photo you want first etc. Once you choose your photos, you can edit them all at once or individually as usual. 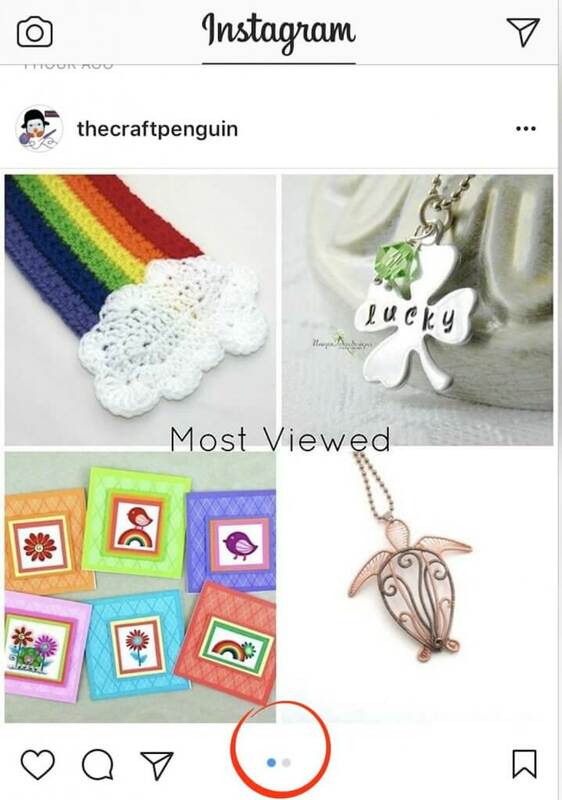 Once you upload your photos and in your profile, you will know which photos have multiple images by the dots at the bottom of the image like the first image below or with the double white squares on the top right corner of the photos like the image on the right. Now you don’t have to worry about which photo you want to add if you take multiple shots. This is great if you are doing a work in progress piece of art, product or having a sale. 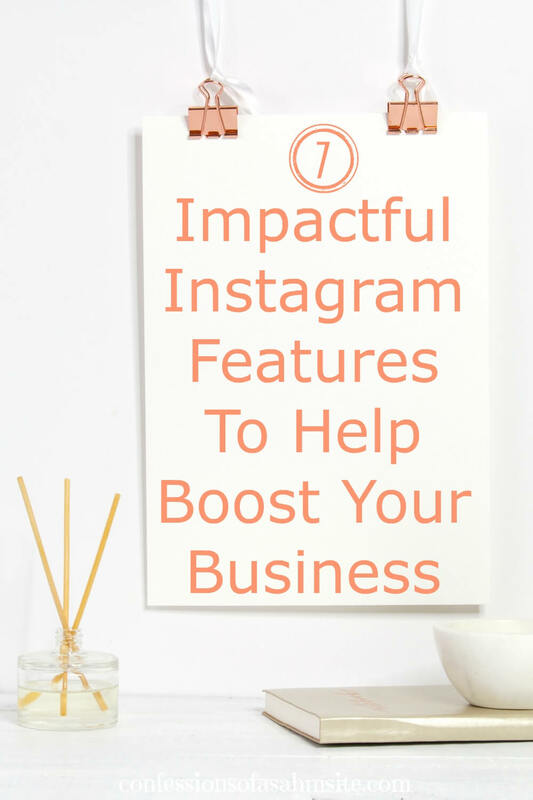 There you have it, lots of great features that will help boost your business with Instagram. 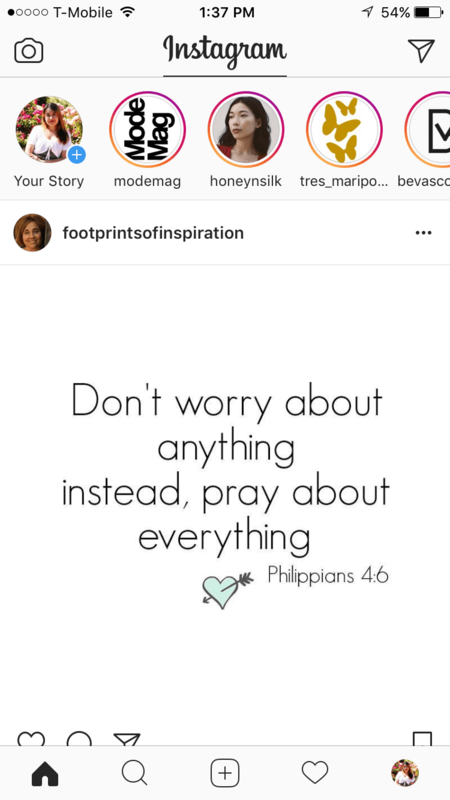 There are other Instagram features but I thought these would be the best to help boost your business. 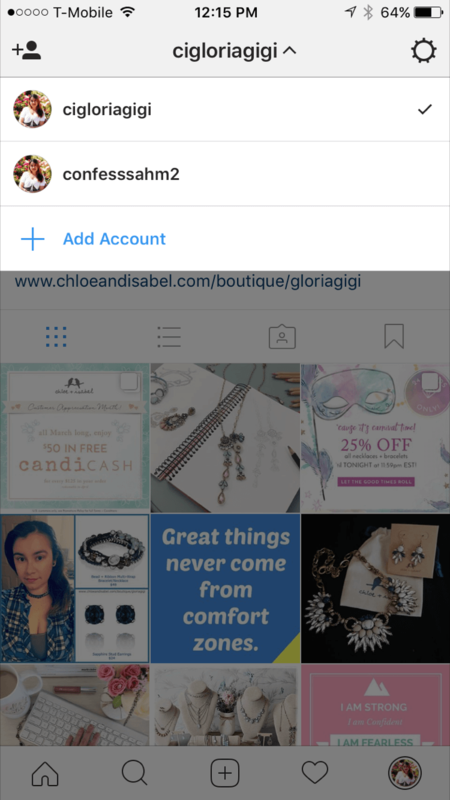 If you are fairly new to Instagram and to the blogging world or business world, I would highly suggest to set up all your social media accounts with the same name as your business or at least close as possible to it. Make sure that all your accounts have the same account name. If you have a business and want to set it up on Instagram, it’s best to set up a business account to give you a lot more tools and features that will allow people to contact you, plus other tools like knowing how many impressions you have, what your top posts are plus more. 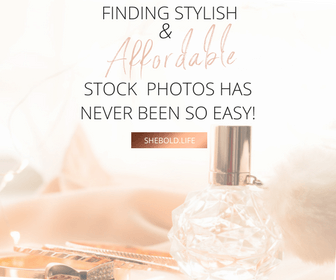 So if you do have a business/blog or just starting one out, I suggest you get a business Instagram account. P.S. What’s your favorite social media platform? Are you already following me on Instagram? If not visit me on Instagram and kindly follow me there for updates. I have two accounts on Instagram and for some reason only one of them allows me to do a slideshow. I LOVE the save, toggle account, and tag on IG stories features. I am forever grateful for the custom keyword feature to block trolls from my accounts! Great article. I enjoyed reading your post! Thank you Natalie for your kind words!